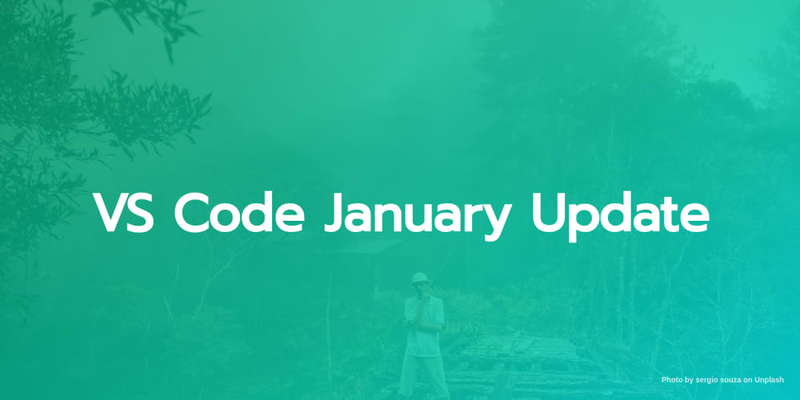 VS Code January Update! No more reloading to install extensions! The VS Code January update is out (version 1.31) and as usual, the VS Code team has put in some great updates to an already amazing editor. Let&apos;s take a look at some of the updates. The headliner for this update is the ability to remove and install extensions without reloading! It used to be a minor gripe to reload, but this update fixes that. The VS Code team&apos;s attention to the little things is what sets the editor above and beyond. I always use the built-in terminal to run yarn serve or yarn start and reloading VS Code cancelled those processes. Small nitpicks that are now gone! The new tree widget that comes with this update allows us to filter the explorer pane. I&apos;m a big believer in trying to be as efficient as possible and promote using keyboard shortcuts and vim as often as possible. Navigating the file explorer wasn&apos;t always possible with just your keyboard. Admittedly, this isn&apos;t something I use often. ctrl+p and using alt+click to navigate are my go to ways.